La Cucina Italiana is an Italian Cookery and food magazine which is packed with helpful recipes and new food ideas for readers who are after that something different to try. 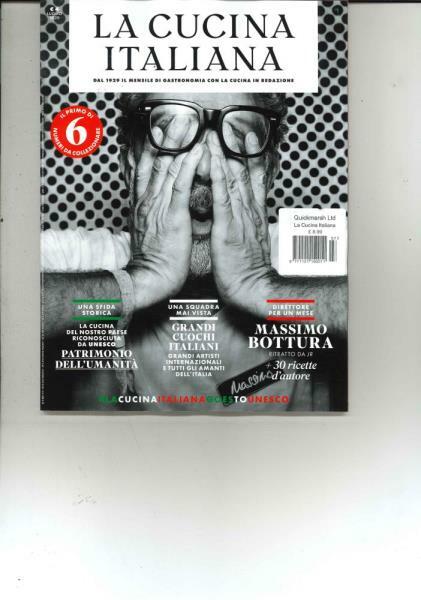 Buy a single copy or subscription to La Cucina Italiana magazine. The food is all typically Italian and hearty, which would be ideal for readers who love to cook and enjoy Italian cuisine. There will be in-depth recipes and quick mid week meal ideas as well as information for parties and special occasions.